What a great Easter Story for my little friends! I love it!!! The children will actually eat the candy after hearing the story. Your story is very well written; they will easily retain the information. Love this poem. 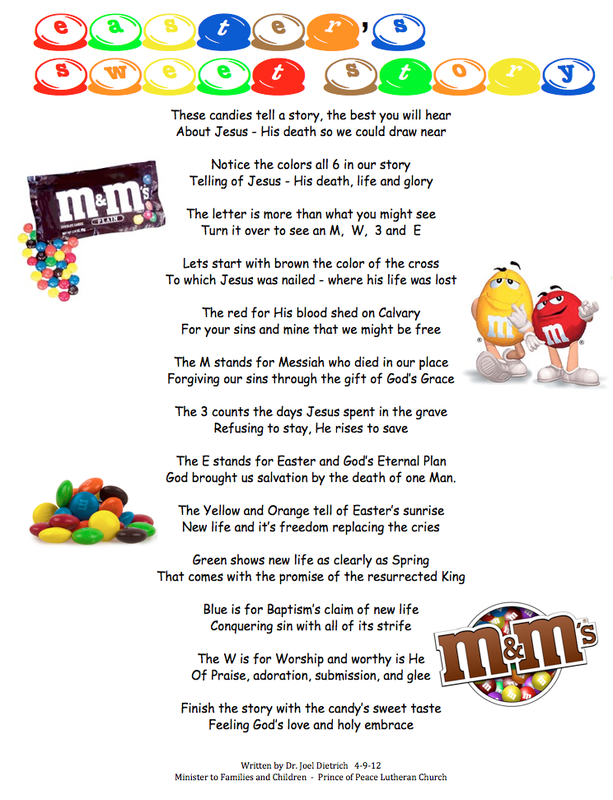 I used this poem for our Children Church Easter Skit.